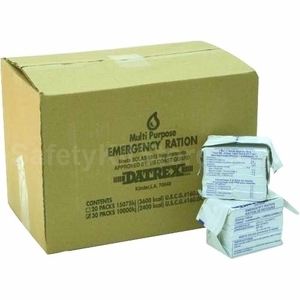 We have discounted these DATREX Case packs with 30 food bars even further. These are the best tasting food bars on the market at rock bottom pricing. Save by ordering in bulk. You can't buy this type of food at your local store! Get a full case and share with your family, friends, co-workers and neighbors so they can get their emergency kit started too. Our 2400 calorie Emergency Food Bar made by DATREX has a 5 year shelf life. Survive and stay healthy by choosing our high quality Survival Food Bar. 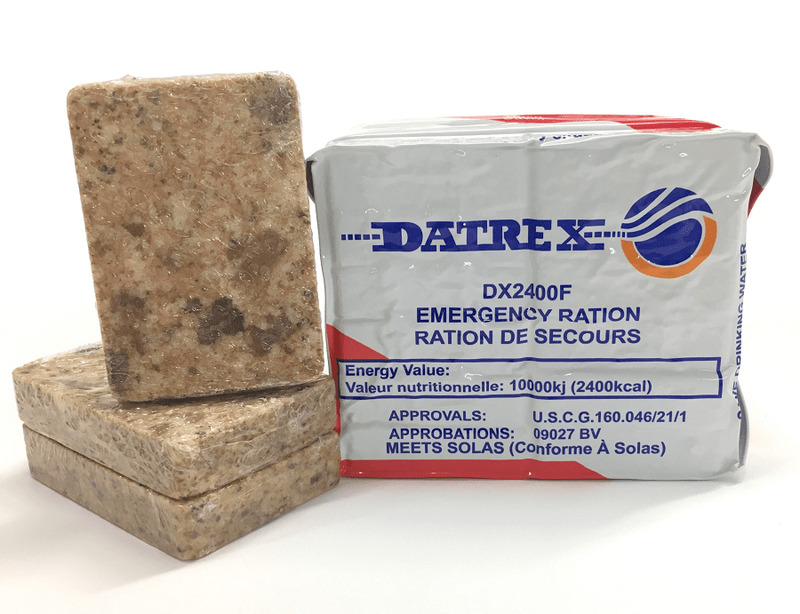 DATREX, the leading manufacturer for emergency food and drinking water is our supplier of choice due to the high quality level of their product. manufactured in dedicated Survival Food Bar preparation facility which prevents cross contamination with other food items such as nuts or meat, etc. This Survival Food supply contains 30 (thirty) 2400 calorie food bars with 12 individual rations each for a total of 360 individual 200 calorie rations. 72000 calories total. This case of 30 food bars can sustain 30 people for 3 days or 1 person for 90 days. Please contact us with questions regarding the current batch date.